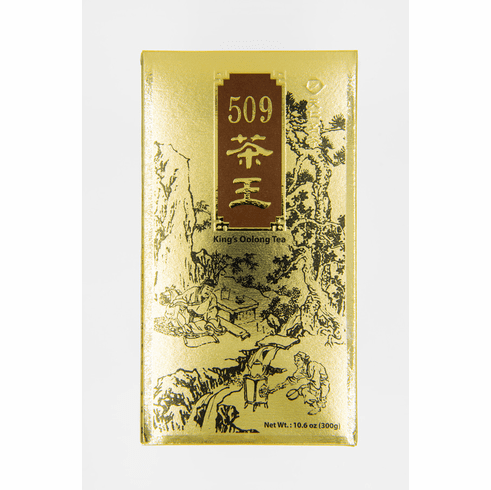 Ten Ren's King's Dark Ginseng Oolong Superfine Grade consists of the finest oolong harvested during the premium seasons, spring and winter, and from the best area to grow oolong, the mountains of central Taiwan. The leaves are then blended with a touch of ginseng to create an incredible aftertaste. Each tea leaf is handpicked to ensure harvests of young terminal buds. The steeped tea has a light golden brown hue, prominent roasted aroma with sweet undertones, the initial flavor of roasted chestnuts, and a strong lasting, sweet and roasted aftertaste which lingers at the back of the throat. * The 0.5oz sampler size is not packaged as shown in picture. It will be packaged in a small bag and box.